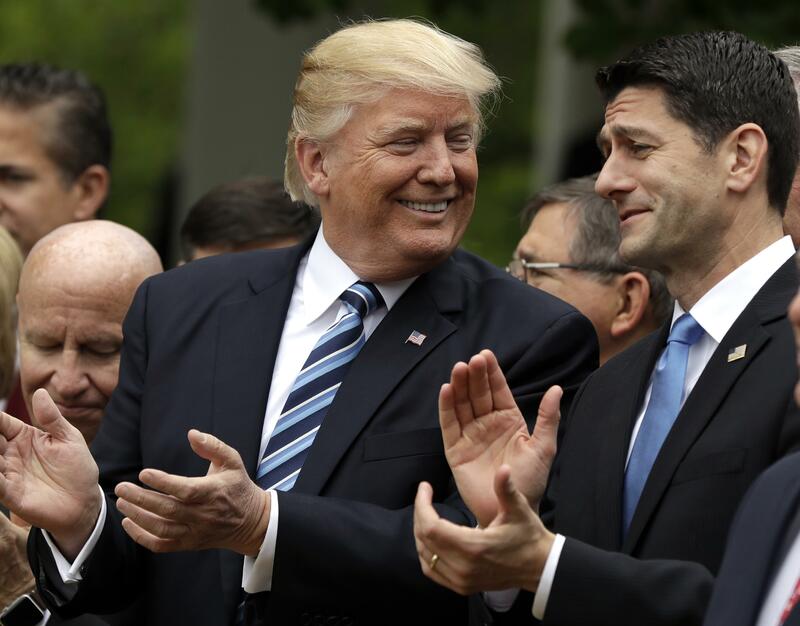 WASHINGTON – President Donald Trump is allowing more employers to opt out of providing no-cost birth control to women by claiming religious or moral objections, issuing new rules Friday that take another step in rolling back the Obama health care law. As a result of the ACA, most women no longer pay for contraceptives. Several advocacy groups immediately announced plans to try to block the Trump administration rule. “We are preparing to see the government in court,” said Brigitte Amiri, a senior attorney for the ACLU. Trump’s religious and moral exemption is expected to galvanize both his opponents and religious conservatives who back him, but it seems unlikely to have a major impact on America’s largely secular workplaces. That said, Mendelson said he worries the new rule will set a precedent for weakening ACA requirements that basic benefits be covered. “If you look at it as a public health issue, it is a step in the wrong direction, and it weakens the protections of the ACA,” he said. Tens of thousands of women could be affected by Trump’s policy, but the vast majority of companies have no qualms about offering birth control benefits through their health plans. Human resource managers recognize that employers get an economic benefit from helping women space out their pregnancies, since female workers are central to most enterprises. However, it’s unclear how major religion-affiliated employers such as Catholic hospitals and universities will respond. Many Catholic hospitals now rely on an Obama-era workaround under which the government pays for the cost of birth control coverage. That workaround can continue under the new rules. Since contraception became a covered preventive benefit, the share of women employees paying with their own money for birth control pills has plunged to 3 percent, from 21 percent, according to the latest Kaiser Family Foundation figures. Salganicoff said she’s concerned about coverage for implantable devices that are more expensive but also much more effective. “It opens up a lot of opportunities for employers to make choices about the coverage that women have right now,” she said. The Trump administration’s revision broadens a religious exemption that previously applied to houses of worship, religion-affiliated nonprofit groups and closely held private companies. Administration officials said the new policy defends religious freedom. In addition to nonprofits, privately held businesses will be able to seek an exemption on religious or moral grounds, while publicly traded companies can seek an exemption due to religious objections. “No American should be forced to violate his or her own conscience in order to abide by the laws and regulations governing our health care system,” Health and Human Services spokeswoman Caitlin Oakley said in a statement. The United States Conference of Catholic Bishops welcomed the administration’s decision. “Such an exemption is no innovation, but instead a return to common sense, long-standing federal practice, and peaceful coexistence between church and state,” Cardinal Daniel N. DiNardo, the group’s president, said in a joint statement with Archbishop William E. Lori of Baltimore, head of its religious liberty committee. Officials also said the administration is tightening oversight of how plans sold under the health law cover abortion. With limited exceptions, abortions can only be paid for through a separate premium collected from enrollees. Doctors’ groups that were instrumental in derailing Republican plans to repeal the health law expressed their dismay. The American Congress of Obstetricians and Gynecologists said the new policy could reverse progress in lowering the nation’s rate of unintended pregnancies. “HHS leaders under the current administration are focused on turning back the clock on women’s health,” said the organization’s president, Dr. Haywood Brown. The new rules take effect right away. Published: Oct. 6, 2017, 8:29 a.m. Updated: Oct. 6, 2017, 2:49 p.m.